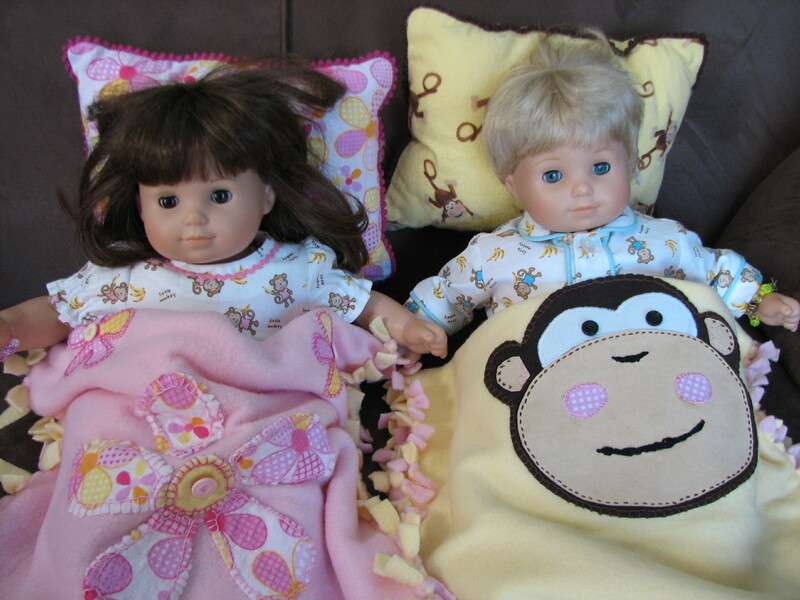 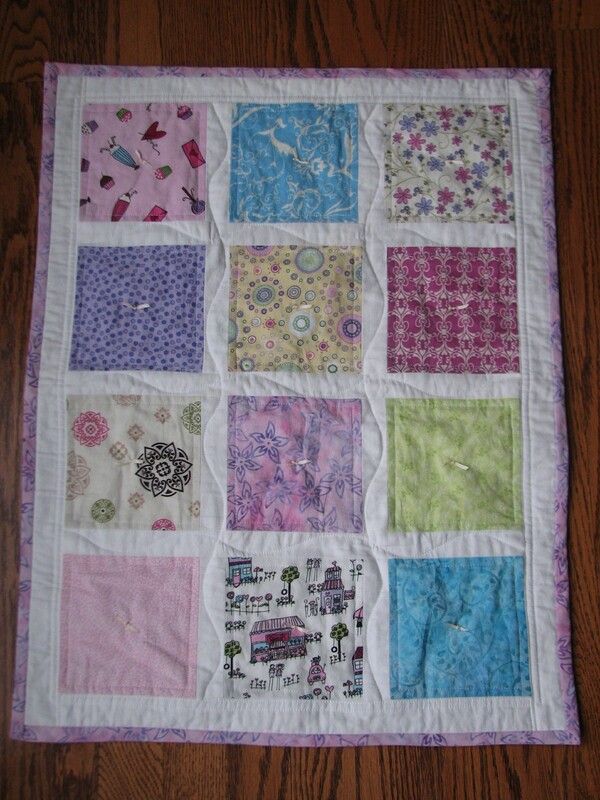 The doll quilt shown above requires a little less time commitment but remains satisfying upon completion. 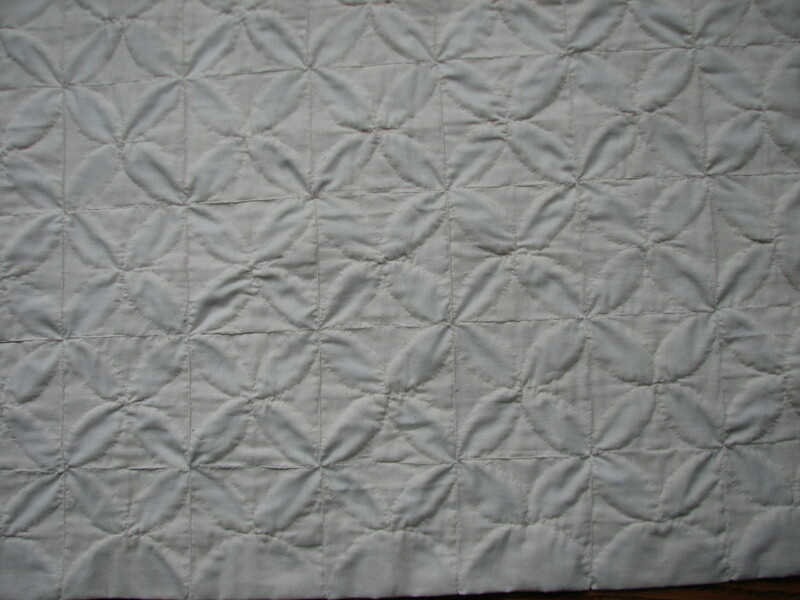 Cathedral Windows is a block type pattern using reverse appliqué & large amounts of folded muslin. 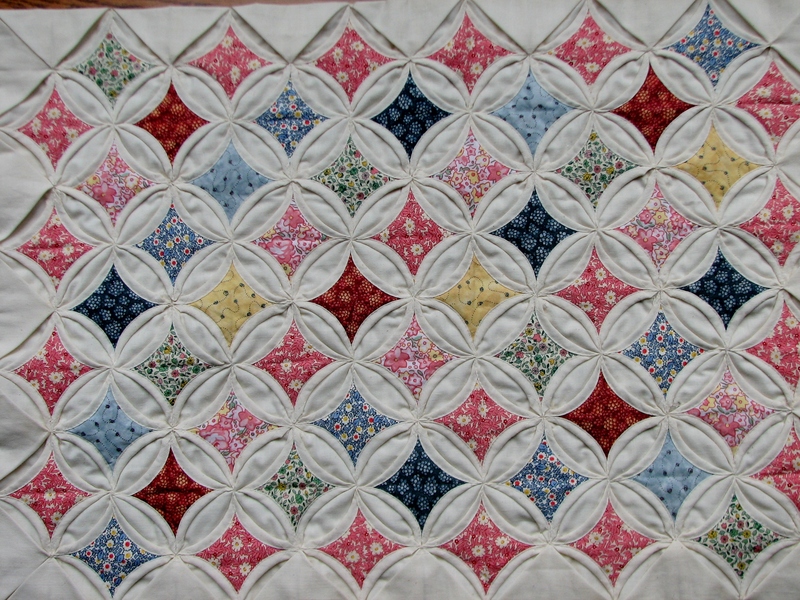 The quilt features modular blocks of an interlocking circular design that frame small squares or diamonds of colorful light-weight cotton. 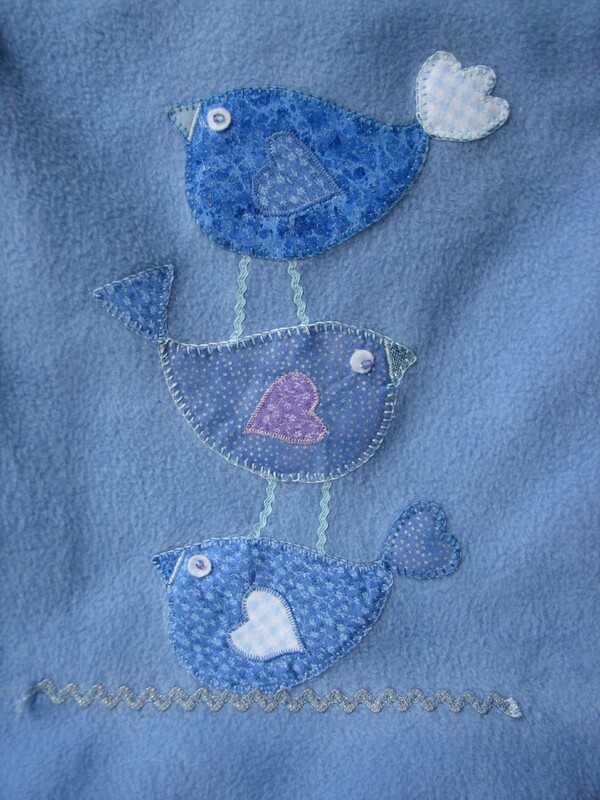 For great directions with pictures click here & here. 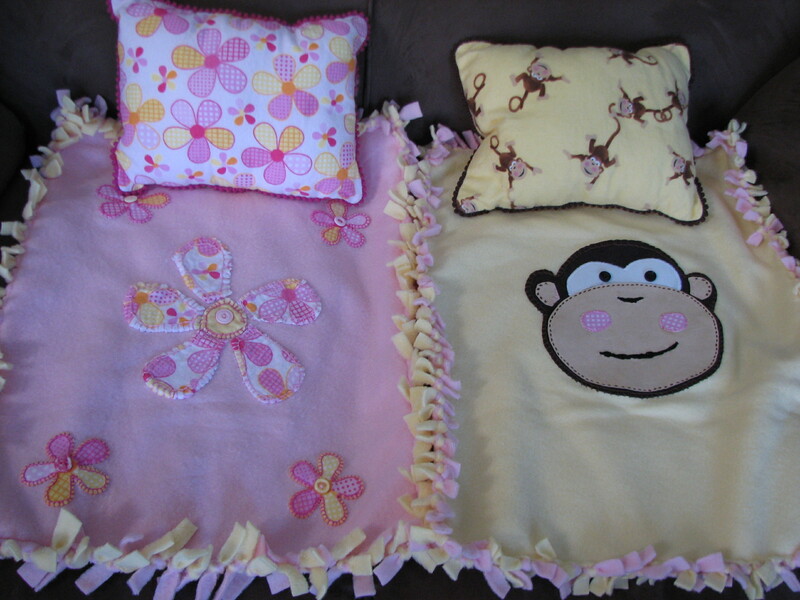 The concept can be used for pillows, table runners or decorative bedding as well. 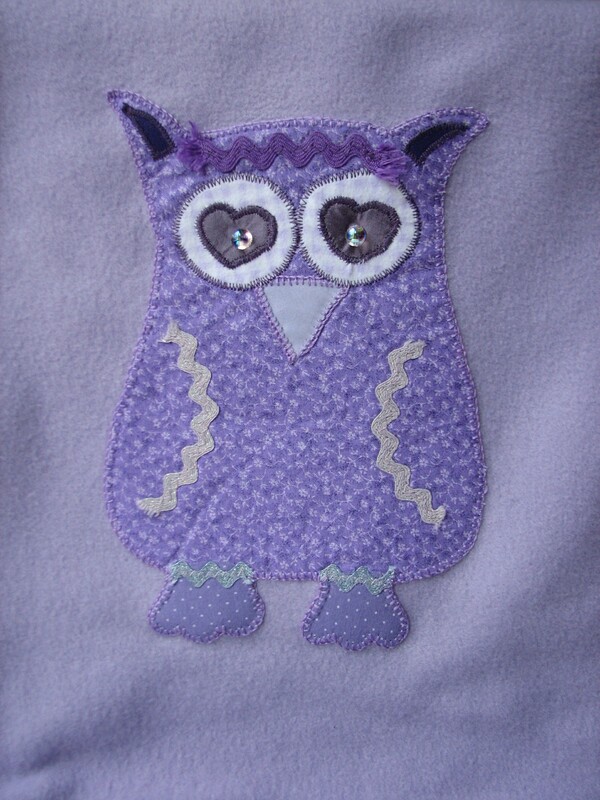 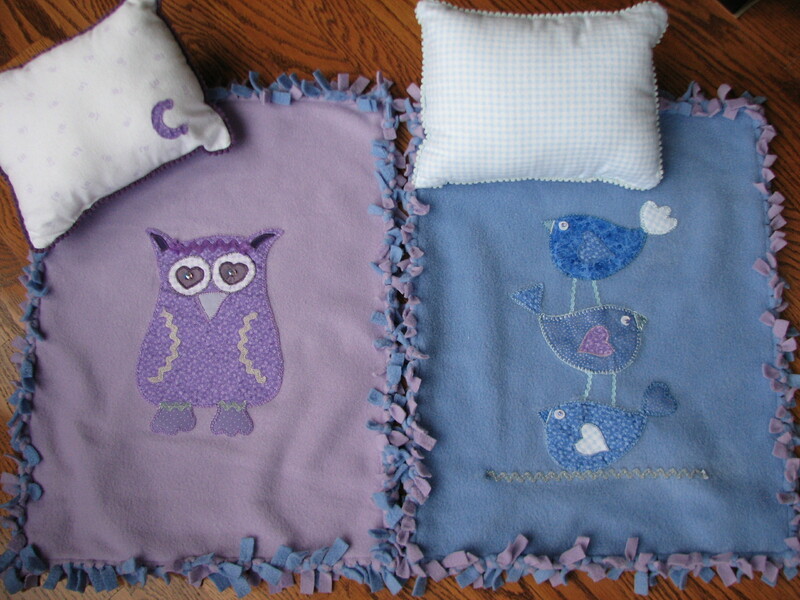 A nice use for any scrap fabrics or dream up an original colorful design. 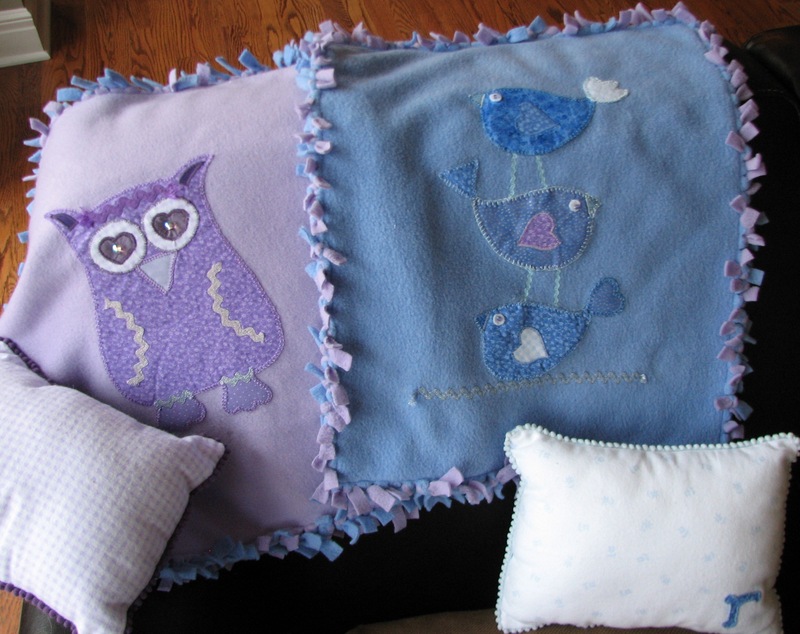 Find a dozen cutie pie fabrics for squares, a high quality cotton solid white/cream, & purchase extra of one fabric print for finishing edge, pillow & sheet. 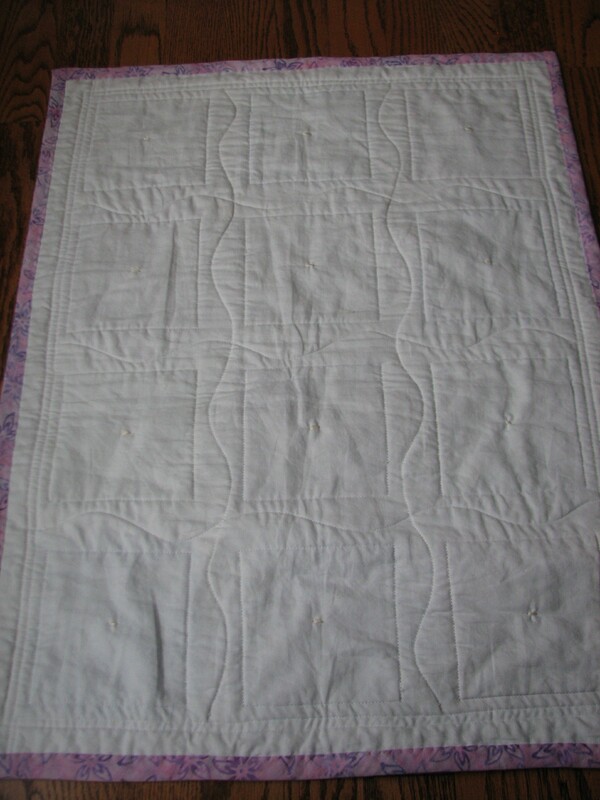 The machine quilting is a combo of straight & waves. 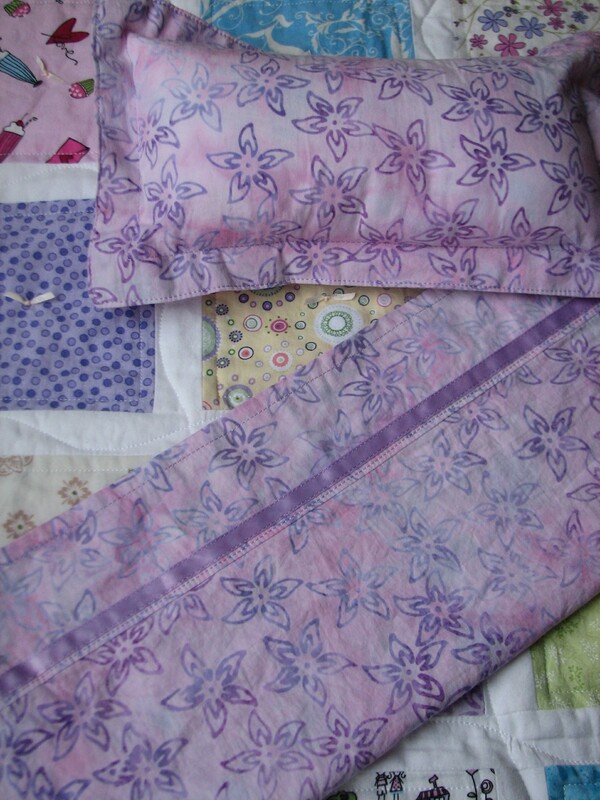 The perimeter binding was machine stitched onto front side of quilt, then folded over to the back & hand stitched. 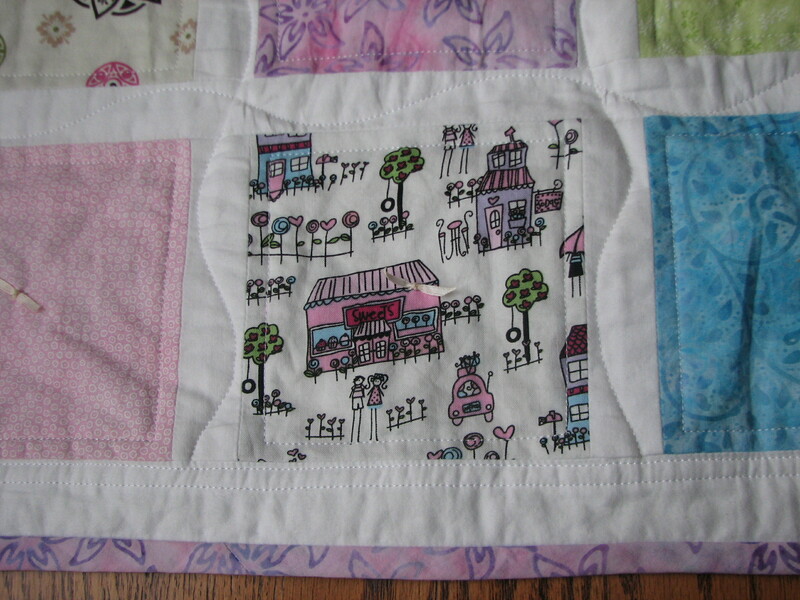 The final touch was adding thin satin ribbon ties to the center of each square.